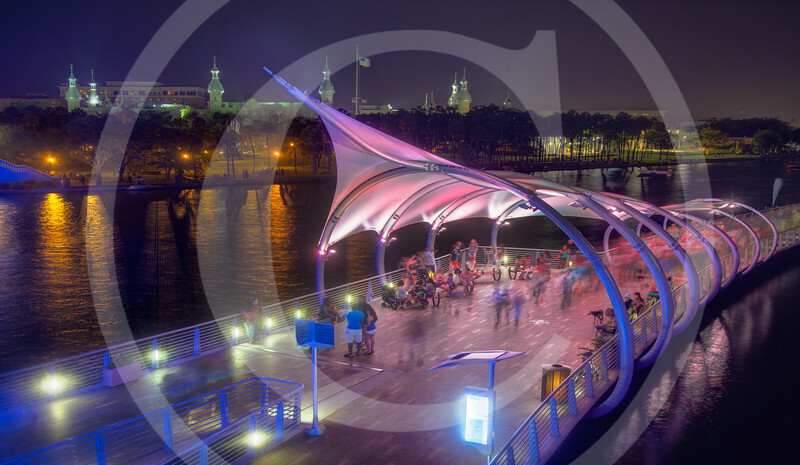 Tampa River walk is a phased open space and pedestrian trail along the Hillsborough River in Tampa FL, for about 2.3 miles, from Waterworks Park to Channelside. The river walk offers for a variant of activities from food to parks to walks on the land side and boats to kayaks to water bike rentals on the water. It provides for a fun walk taking you past many restaurants and parks that often have outdoor music and activities going on throughout the day and night. If the views aren't enough to keep you interested, there are little historical and informative landmarks along the way. Just don’t forget to Wear sunscreen and/or a hat and bring water bottles. Or better at night come in at dusk to enjoy the season colors which is simply beautiful along the walk at night.